If you like bow ties and also like bold color dress shirts with style, try some of the latest from Daniel Ellissa. 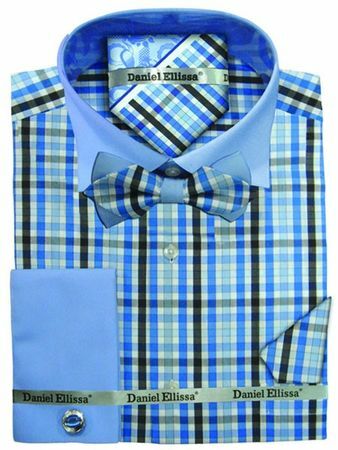 Daniel Ellissa has come out with some all new bold color dress shirts that come with bow ties which are the latest style going. This bright blue dress shirt features solid french cuffs and collar and bright blue plaid fabric in the body.